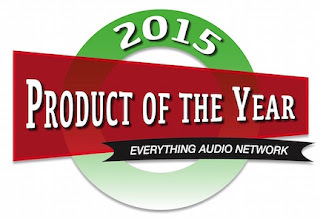 For 2015, EAN has selected its Product of The Year Award winners. 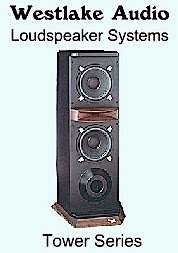 Most audio products reviewed on this site are top-notch audio components, but there is just a bit extra within the products that we chose this year, either in their performance, utility or value or a combination of these factors.Hope the folks who bought the gear are happy with their choices. We sure enjoyed reviewing them! I have been using Wireworld Eclipse 7 RCA ($450 for 1-meter pair) and Eclipse 7 balanced XLR interconnects ($450 for 1-meter pair) for reference listening for three years. Almost all review components in for testing are linked using the Eclipse 7s. 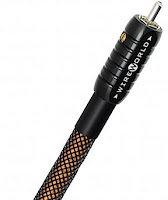 Though there seems likes a million cables out there to choose from, I find the Wireworld’s very neutral and balanced with a rock solid center image and no hyper-exaggeration in the L-R and front to back presentation. A perfect cable for hi-res listening. 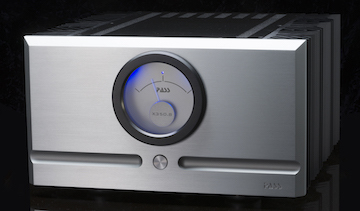 Pass Labs took one of the best big power high-end hi-fi amps and made it better. Borrowing from its hyper Class A XS line, the .8 version of the X350, priced at $14,200, offers smoother mid/treble character without losing its detailed soundstage and incredible bass response. Yeah I got on one in my system. Read the review! The versatile $5,500 Mytek converter/preamp/HP amp serves up the most analog sounding D/A units out there, thanks to designer Michal Jurewicz’s custom attenuator. And the features are deep (DSD direct digital input, upsampling, adjustable filter); you can even get it with a phono preamp. Lots of analog I/O as well. Read the review! 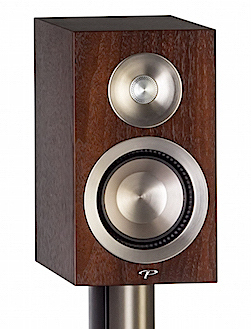 These mid-priced small bookshelf/stand-sized speakers ($799 each) are an amazing bargain. 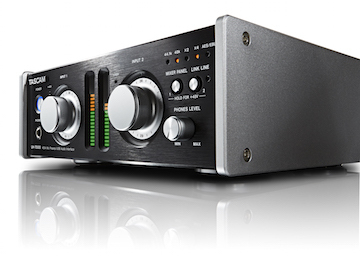 Plenty of bass, and a three-time the price midrange/top end sonics that are super accurate. 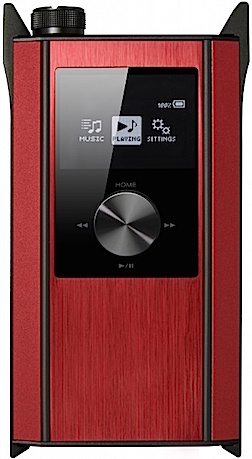 Hi-res music is a revelation through the 15Bs compared to many similarly priced speakers. Read the review! 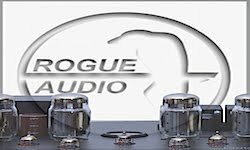 Rogue Audio’s new standard bearer RP-5 ($3,495) features much more efficient microprocessor control, improved S/N and distortion performance to give it one of the most accurate tube pre out there. 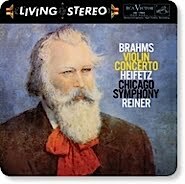 Phono pre version is better than numerous standalone vinyl pres out there. Read the review! I can’t gush enough about the Essence DAC. 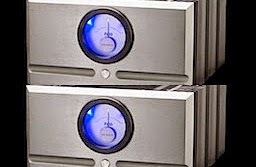 At under $500, you get an ESS DAC chip, a built-in A/D to digitize your vinyl, good headphone amp. If that was not enough,the feature list includes HDMI input and numerous other analog/digital I/O. There ain't’ an all in one that can touch this for so little money. Read the review! The $300 Oppo HA-2 USB DAC, equipped with ESS Sabre32 mobile chip, is so good that you can use it for a standalone audiophile DAC for headphone listening. 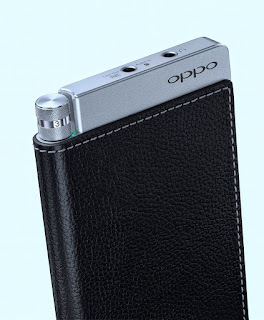 Its headphone soundfield is heads above most portable hi-res players, plus you get all that smart device connectivity and the ability to charge your phone from the DAC. Read the review! Designed by Mike Bettinger, this Arion phono pre ($6,395) is built the way I like em — super accurate and clean. With my Benz cartridge and a VPI Scout, this phono pre did not hype the sound. It makes the best cartridge and LP sound as open and spacious as the source. Very low noise as well. 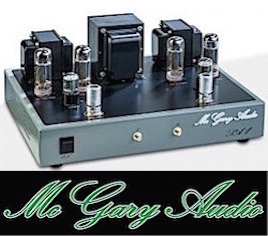 One of the best phono pre's at any price. Read the review! 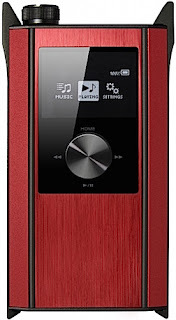 The HA-P90SD, street priced at $599, gives you native DSD playback via DoP, and up to 24/192 PCM in a solidly built, easy-to-operate package at way less than most of its high-end competitors. 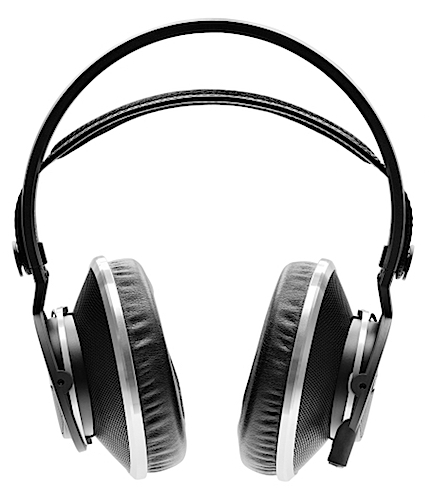 Headphone amp sound is detailed, wide and deep. Read the review! The $1,995, built-in-Austria AKG K812 has about the most expansive soundstage I have ever herd from a mass produced headphones. Bass is tight and accurate; the transients are spot on for hi-res listening. And you get that AKG open air comfort that I crave. Read the review! Balanced or single ended, the $2,995 150-wpc MX-A5000 is an excellent multichannel amplifier that competes with some of the best esoteric 5.1-plus channel amps. A deep soundstage and a smooth, tight midrange/treble projection makes for a impressive movie soundtrack or hi-res surround listening. Up to nine channels of output. Read the review! The MB5050 MicroBoom system, at $599, is a handy way to place microphone in an unobtrusive manner for a variety of music applications, including choir, drums, organ, etc. 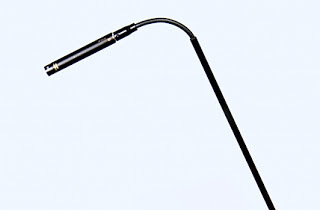 The extendable boom is perfect for instrument-sized mics to record those intricate instruments in hi-res. Read the review! The $3,995 Prism Titan is a fantastic, eight-channel, USB recording interface with an easy-to-use computer DAW mixer GUI and excellent converters. I have never heard better from a $3,000-plus integrated computer DAW interface. Mic preamps are aces. Read the review! For just a few hundred dollars ($399 to be exact), this stereo recording interface is quite good with very good A/D and D/A performance. 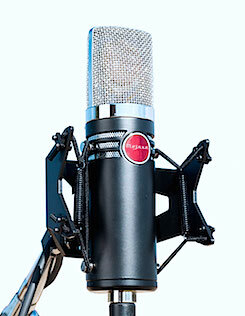 Mic pres are quiet and dynamic, and we like the onboard controls and meters. Read the review! Take the ultra accurate PCM/DSD DAC2 converter add AES/EBU and dual buss output and you now have the ideal studio or hi-fi DAC for headphone or speaker listening — the $1,995 DAC2-DX. And no DAC measures any better. Read the review! 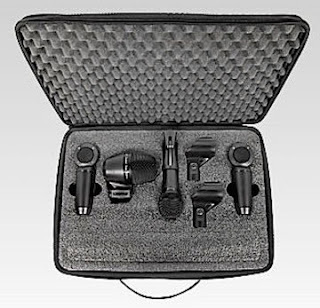 At its street price of $299, the PGASTUDIOKIT4 is a great value for the amateur and working professional musician/engineer who wants a quad set of really good microphones. Even home recording audiophiles will be happy with the results. Yes, we said under $300. Read the review!